One of the most versatile and dedicated artists Tamil Cinema has ever witnessed is Chiyaan Vikram. He is a man who does not age and is great at impressing fans and audiences by challenging himself with newer things in every film. His love towards his fans and care for them has earned him a huge place in everyone's heart. From a blind man to a stylish cop, a Pithamagan to an Anniyan, a Sethu to Krishna from Avalanche, he has aced every role he played. He is the Ravanan we would surrender to, the Remo we would fall in love with and the Aarusamy we are all stunned by. He is also a great dubbing artist and singer. Did you know he has dubbed for Ajith and Prabhu Deva in their early films? He could take roles that have no references and become one, like what he did in Pithamagan. He would not talk but will make people cry a river, like in Deiva Thirumagal. Not so surprising after having seen Anniyan and Ambi bedazzle DCP Prabhakar in one shot! We have seen actors shrinking and making themselves big for many movies but here is a fine actor who turned into a beast for a song, a stunning model and a hunch back with deformities in his body all for one movie! Vikram stands tall not only as an inspiration and example to actors of his and next generation, but to everyone who wants to follow their passion and tread the road not taken in their career. Behindwoods is so proud to celebrate Vikram as a star, artist, and a person. 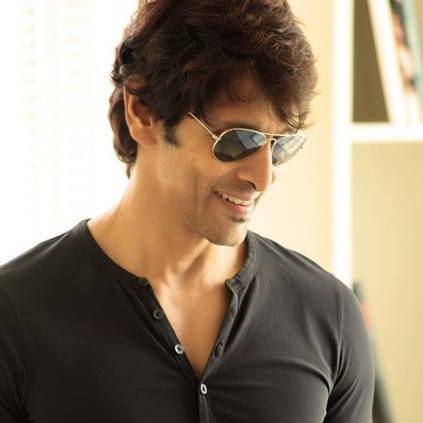 On this wonderful day, we extend our warm, hearty birthday wishes to our beloved Chiyaan of Tamil Cinema. People looking for online information on Chiyaan, Vikram will find this news story useful.